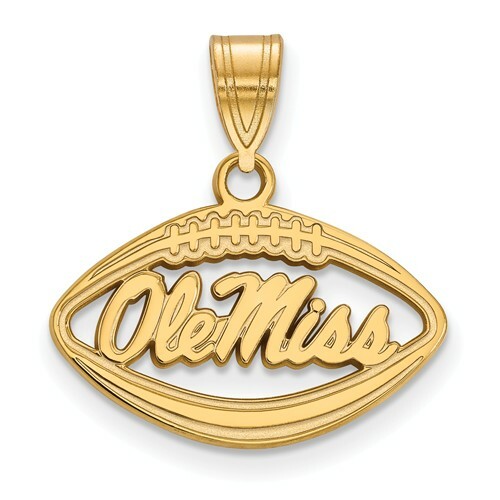 Ole Miss football pendant is made to order in 14k yellow gold. Item height: 1/2in, width: 3/4in. Officially licensed jewelry. Made in the USA. Fits up to a 4mm chain.